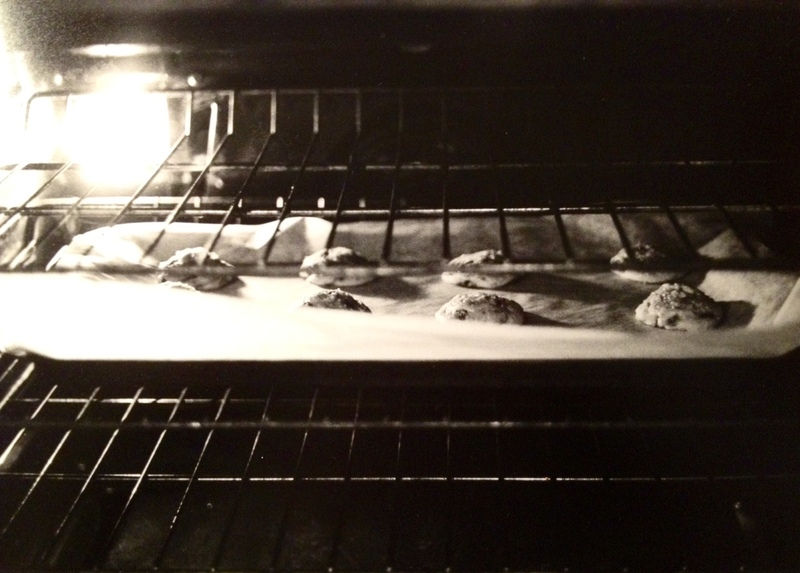 This post combines two of my absolute favorite things: cookies and photography. I have been in photography classes for the past four years. My photography classes put an emphasis on black and white film photography, and we have our own wet darkroom and developing chemicals. I have recently been working on a cumulative photography assignment that is centered on food and the role that food plays in culture; I have been photographing the start-to-finish processes of cooking and baking, and also document restaurants, cafes, and farmers markets in the surrounding area. I decided to start off my photography with a constant crowd-pleaser: chocolate chip cookies. 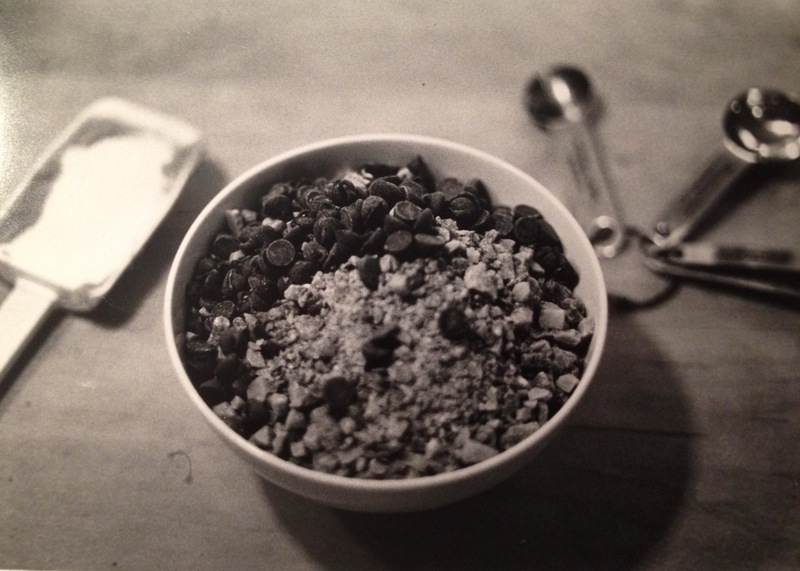 My all-time favorite chocolate chip cookie recipe is adapted from The New York Times. It has the perfect consistency, with hints of caramel, sea salt, and vanilla distributed throughout. Each bite has an insane amount of chocolate! If you do not yet have a food scale, I would recommend one for this recipe: using a scale ensures perfect proportions of ingredients for every batch. For this batch, I decided to add toffee chunks to the batter, to incorporate yet another dimension to these already awesome cookies. To ensure your perfect cookie, make this batter at least one day ahead of when you wish to bake the cookies. Allowing the dough to sit in the refrigerator overnight allows the flavors to mesh together. Here’s a hint: I only bake a few of these cookies at a time, and roll the rest of the dough into balls and place them in the freezer. This allows you to have warm, fresh cookies for whenever you are craving them, and also makes sure that none of the cookies go to waste. I took these photographs using a 50-mm Canon AE-1 Program and black and white film. 4. 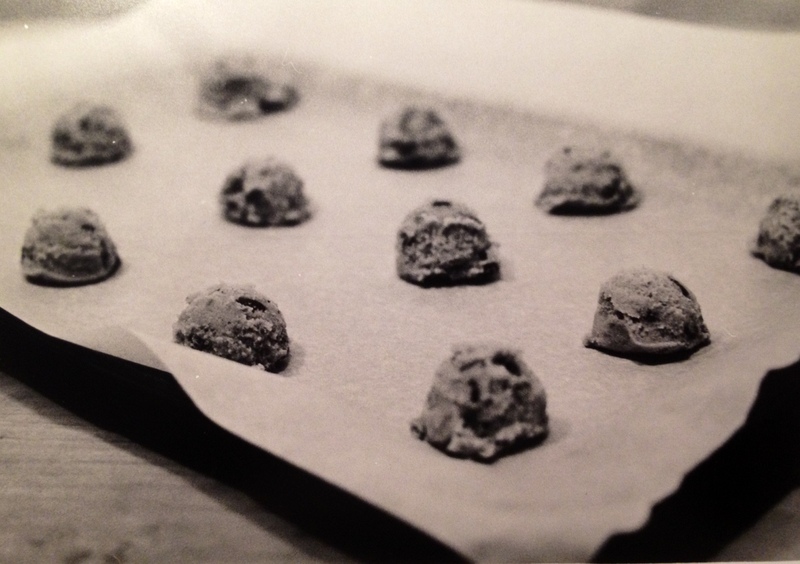 Scoop 12 tablespoon-sized balls onto a baking sheet. Sprinkle lightly with sea salt and bake until golden brown but still soft, 8-10 minutes. Take the cookies out a little bit earlier than you normally would, because they continue to cook on the pan. Transfer sheet to a wire rack for 10 minutes, then slip cookies onto another rack to cool a bit more. Repeat with remaining dough, or reserve dough, refrigerated or frozen. Yield: Approximately 72 medium cookies.